The following article was originally prepared as guidance for my brother, who was shopping for his first sidearm. He lives in a suburban community on the outskirts of Chicago. Living in ILL-n-NOY(‘d), he’ll not be allowed to carry concealed. He also may not be able to interest his wife in training. What should he buy? *****Note on the prices referenced in this article (as of 1/17/13): Anyone who’s been out shopping of late knows that prices have moved considerably over the past several months. Due to extraordinarily high buying demand, many sources are sold out and most models are now on back-order. Those with popular items available are, therefore, able to command premium prices well above MSRP. A couple of (near and dear) examples include the Sig Sauer P220, which appear to be running now in the $900-$1,100 range, while new Ruger SP101 prices have risen to the $600 to $700 range. These are roughly $100 to $300 (or, say 20% to 30%) above prices you’d have seen only 3-6 months ago. I expect to be attending a major gun show this weekend and will, hopefully, be able to give a better report on both new and used prices there, including for those scary black long arms. The following list is not intended to be comprehensive or “definitive” by any means. It might serve, however, as a useful reference for your consideration. I’m personally familiar with most of the makes and models listed (except as noted), having owned most of them over the years – or having had the opportunity to shoot them, if owned by others. All of the companies listed make a wide range of reliable models. The models selected here reflect my own philosophical bias, hand-size, and a variety of other considerations. Part I – Revolvers – Best applications: Female, Novice, or Personal Preference. Smaller models can be great for concealed carry, larger models for field use and home defense. Advantages over semi-automatic pistols include simplicity of design, ease of use and maintenance, and general reliability. Despite having owned quite a few semi-autos over the years, I now find myself gravitating back to the tried-and-true wheel guns. Why? Partly, this is a reflection of my desire for reliable simplicity. We’re also living a more rural lifestyle, spending more time “in the field”, where revolvers make a bit more sense to me. It also reflects the fact that my wife is more comfortable with revolvers, even though she’s adept enough in the various shooting sports. I tend to believe that you simply don’t have to think (or practice) as hard to master the revolver for use in high-pressure situations. Opinions may vary, but that the way I see it at the moment. 1. Smith & Wesson – Quality A+ (Smoothest trigger, refined finish, notable strength) Value – B+ (Also, usually the most expensive) There have been reports that the revered S&W quality has slipped in recent years…see Chuck Hawks commentary here, as example. That would give me pause on buying new, even though they’ve been developing some compelling new models. So, buyer beware, I guess. 2. Ruger – Quality B+ (Usually poor trigger, not very refined, but exceptionally strong) Value A- (Strength matters a lot, especially for .357 or larger models). 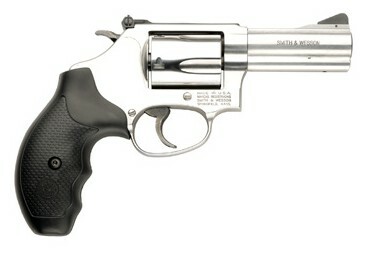 Newer models seem to have much improved triggers, which may, on balance, give Ruger a significant edge in my ranking. I’ve never found them to be quite as esthetically pleasing, but that may simply be a matter of personal taste. 3. Taurus – Quality B (Better trigger, better refinement, acceptable strength and reliability) Value A- (A very close 2nd, better prices than Ruger). Taurus, as noted elsewhere, is a really good “copy-cat”, and that’s true of their revolvers, many of which seem to be reasonably good “knock-offs” of S&W models. 4. Charter Arms – Quality B (So-so trigger, middling refinement, acceptable strength) Value B+ (CA seems, at the moment to be among the best of the bargain brands available.) Not always “pretty”, but a serviceable bargain. 5. Rossi – I really don’t know enough to say anything useful about Rossi’s, but have taken note of mixed reviews on reliability and accuracy. Now owned by Taurus, they are certainly affordable. 6. Hey, just don’t go there. Notes: The following are mostly optimized for concealed carry, which might be somewhat pointless for those of you in states like Illinois. Thus, these are typically: five shot, .357 magnum or .38 Special +P, short (2″-3″) barrel, stainless steel, not hammerless – personally, I tend to like having a hammer, despite the obvious disadvantages for “pocket carry”. Use a holster, eh? Also: The gun that saves your life is the one you’re willing to carry, and most of the following meet that criteria for me. If choosing only for home (and/or field use), you could, maybe should, go to a larger 6 round model. Still, if choosing a single home defense model, you might consider your wife’s hand size and strength too. 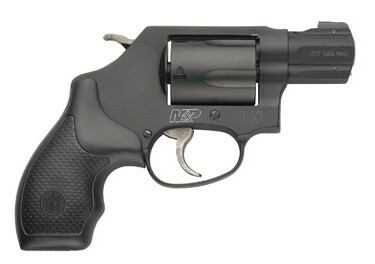 Finally, you should note that smaller, lighter-weight revolvers will kick like a mule with heavier loads like the .357. My wife, as it happens, seems to have no trouble handling .357 loads in her Ruger SP101. But, she’s a bit tougher than most and the SP101 is a bit on the heavy side compared to most of the current crop of light 5-shots. All .357 chambered models, however, can always be tamed with .38 loads, especially for training purposes. 1. Smith & Wesson – Model M&P360, 1.87″ barrel, adjustable tritium sights, scandium alloy frame, stainless cylinder, matte black, exposed hammer, MSRP $980, typically $725 or so. Would consider a 3″ model. Virtually impossible to find used at this point in time. Very light-weight, with corresponding recoil issues. 2. 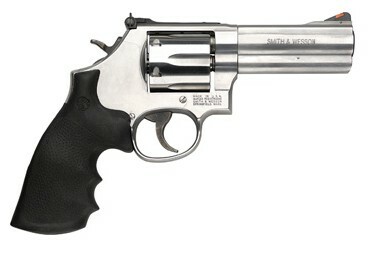 Smith & Wesson Model 60 – 3″ barrel (some other variants in this line, most of the shorter barreled models are only chambered in .38 special). Stainless, adjustable sites, slick trigger. Very nice at MSRP of $850, typically available at around $640. 3. 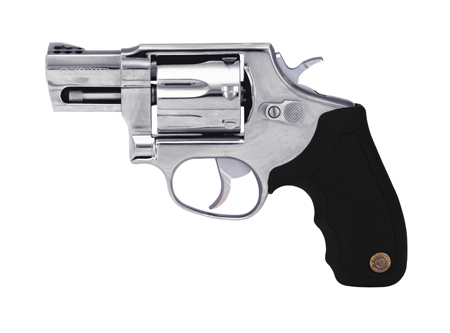 Smith & Wesson Model 686 – A full sized alternative, stainless, full lug 2.5″ or 4″ barrel, six or seven shots, adjustable sites, MSRP at $930, otherwise $725 or so. This is what I carry when I’m in a revolver kind of mood. You can find these used sometimes at around $400-$450. Born to shoot .357 mag. 4. Ruger SP101, 2.25″ or 3″ 3bbl – nice, heavy-ish 5 shot, stout, MSRP at $600, but can be had for $500 new. Can often be found used for $400 or less. My wife carries one of these in 3″, it’s her all around town and trail BFF. 5. Taurus Models 617SS2 or 605SS2 (maybe others too) – Don’t know these well really, but they have a good rep and great price new under $400 and, thus, well worth looking at. Taurus also has some ultra-lite models (like the M85), but these, I believe are only available in .38+P. I’m giving a lot of thought to one of these myself, to replace the Walther PPK that I traded off. At the moment, I don’t have a good small concealable revolver…. 5-a. Honorable mention for the Charter Arms Model 73520 (Mag Pug) in .357 magnum, short, ported 2.2″ barrel, stainless, MSRP at $450, can be had for $335. I have to admit, I’ve had a long-term desire for their legendary 74420 Bulldog in .44 Special at $475 MSRP or, more typically, $360. Too bad it’s just one more cartridge I’d have to stock when the .357 is just as good, even better. So there, I still want one. 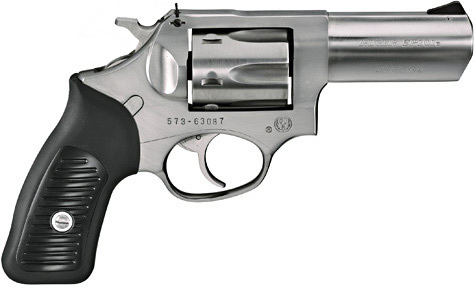 Update Alternative: Despite some mixed reviews, S&W is now offering the Model 637 Airweight (and others) for prices that are extremely competitive to the lower priced offerings on this list. Although only suitable and/or useful in the .38 Special chambering, this is well worth the money they’re asking right now. See the best price at Cheaper than Dirt.